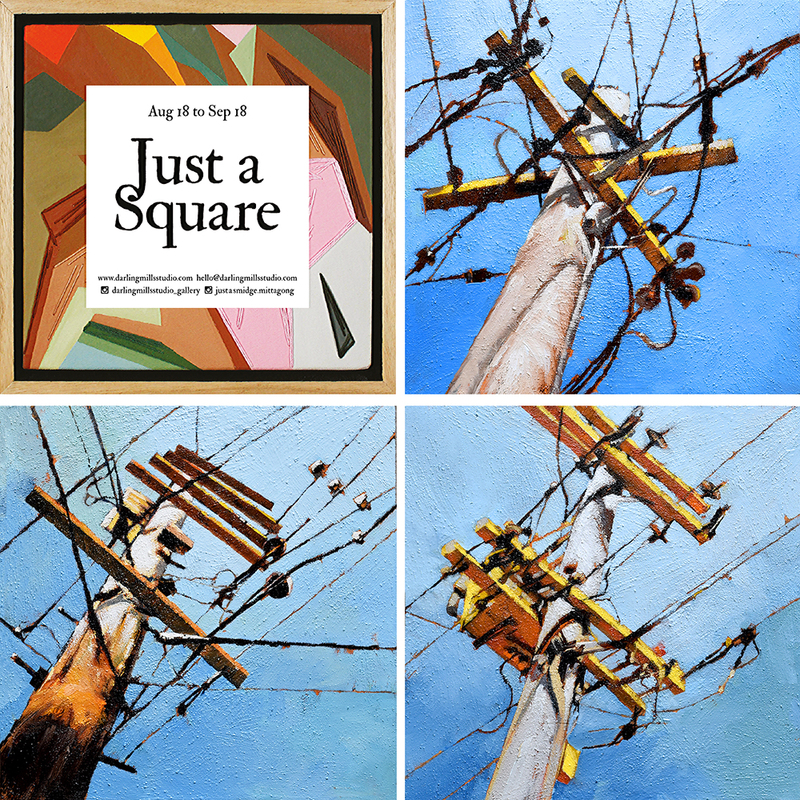 Just a Square is an art exhibition of mixed media squares by a selected group of artists. is very diversified, which works well for me! 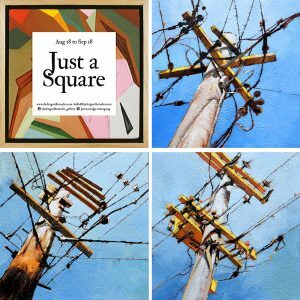 These little power poles are available in the show. Come by Darling Mills Studio Gallery and take a peek at some great affordable art. And mine! Everyone is welcome to the opening: Saturday 18 August – 1-3pm.